APA California is hosting a special briefing on pending State bills affecting planning in California. Chapter Vice President of Policy and Legislation, John Terell and APA California lobbyists Sande George and Lauren De Valencia from Stefan/George Associates will provide an update on bills likely to come up for a vote in the current session. There are two ways to join the conversation, in person at two locations or online. AB 72 (Santiago, Chiu) – Enforcement of housing law and finding of noncompliance by HCD. AB 686 (Santiago) – Affirmatively further fair housing law. AB 678 (Bocanegra) and SB 167 (Skinner) – New fines and standard of review for violations of Housing Accountability Act. AB 1397 (Low) – Housing Element: Restrictions on designation of adequate sites in inventory of land for residential development. AB 1505 (Bloom, Chiu, Gloria) – Restoration of inclusionary authority for rental units. AB 1515 (Daly) – Change in Housing Accountability Act to deem projects consistent with general plan and zoning. SB 35 (Wiener) – Streamlined approval process to receive ministerial (by right) approval for multifamily housing if certain percentage of units are affordable. SB 166 (Skinner) – Expansion of No-Net Loss to loss of affordability and continuous rezoning to match RHNA by income level. SB 649 (Hueso) – New small cell wireless infrastructure permitting and mandatory leasing of public infrastructure for small cells. 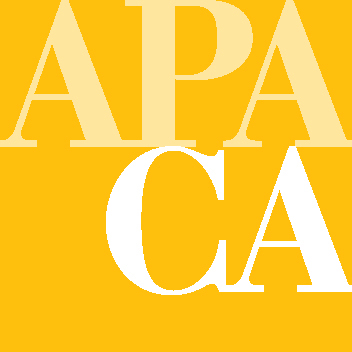 The event is free for APA Members, $20 for non-members. For more information and to register, click here.